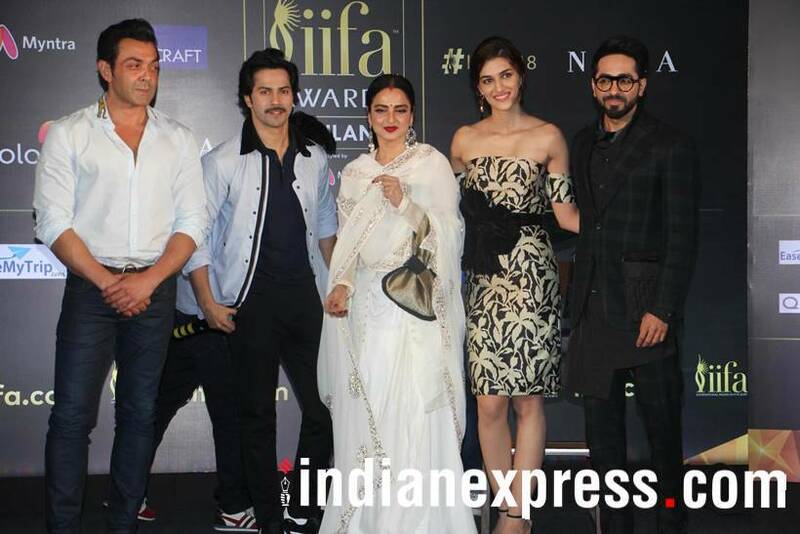 IIFA 2018: On Tuesday, a press meet was organised in Mumbai and the event saw Rekha, Bobby Deol, Varun Dhawan, Kriti Sanon and Ayushmann Khurrana in attendance. 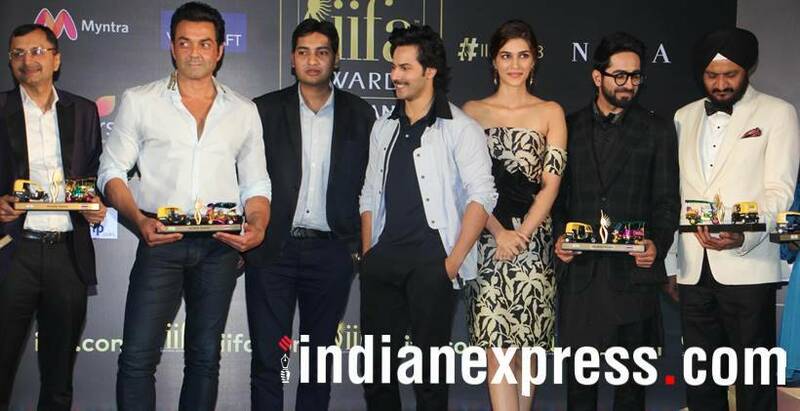 The much-awaited International Indian Film Academy Awards (IIFA) will be held from June 22 to 24 in Bangkok. On Tuesday, a press meet was organised in Mumbai and the event saw Rekha, Bobby Deol, Varun Dhawan, Kriti Sanon and Ayushmann Khurrana in attendance. Scroll to see all photos. 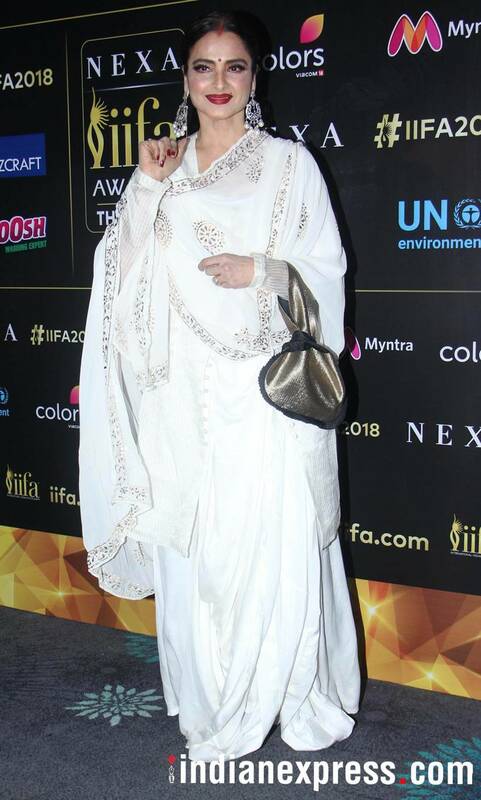 IIFA 2018 will witness a mesmerizing performance by India’s timeless beauty Rekha. Rekha looked gorgeous as ever at the press meet. Rekha was seen meeting and greeting other actors. Varun Dhawan, who will also be performing at the four-day film extravaganza, posed for photographers at the event. Kriti Sanon was snapped at the IIFA press meet. 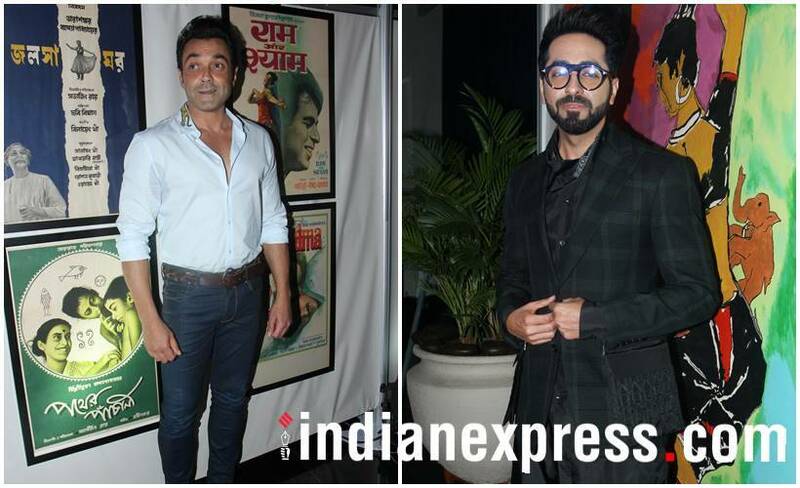 Bobby Deol and Ayushmann Khurrana were spotted at the event. Ranbir Kapoor, Shahid Kapoor, Shraddha Kapoor, Arjun Kapoor, Bobby Deol and Lulia Vantur will perform at IIFA 2018. 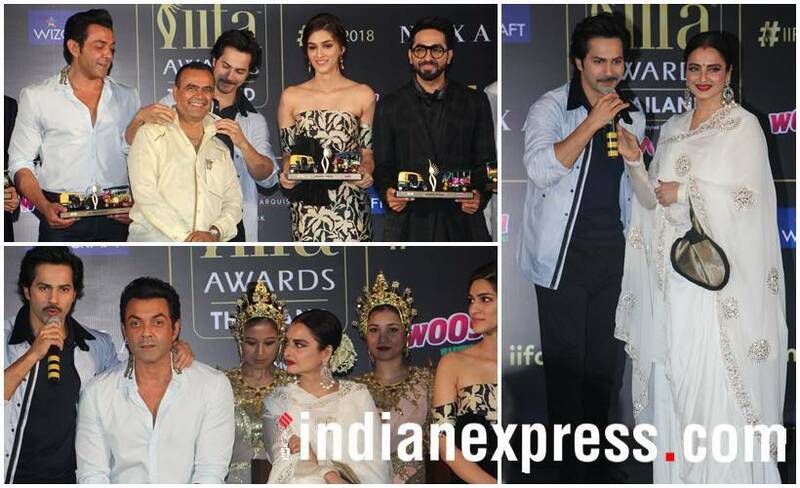 IIFA 2018 goodies were unveiled at the event. IIFA Rocks 2018 will see Kartik Aaryan and Ayushmann Khurrana as the hosts. The main event will be hosted by Karan Johar and Riteish Deshmukh.